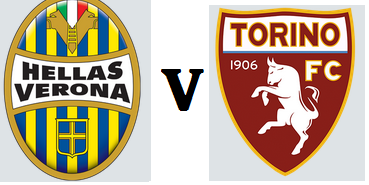 Torino will look to maintain their 100% record when they travel to Verona to face Hellas on Sunday afternoon. The Granata have a fine recent record against their hosts, winning their last three matches in Verona by a 3-1 scoreline. However, Toro will have to make do without two of their first choice back three, as Nikola Maksimovic and Emiliano Moretti both miss out. They should be replaced by able deputies Cesare Bovo and Pontus Jansson, although youngster Valerio Mantovani has also been included in the squad and could be a surprise debutant. Elsewhere in the team, Bosnian midfielder Sanjin Prcic is included in the squad for the first time, and Andrea Belotti could finally make his long awaited debut. Hellas are seeking their first victory of the season, and whilst they earned a creditable 1-1 draw against Roma in the opening game, they fell to a disappointing 2-0 defeat at Genoa last time out.